Young hero Sree Vishnu is known for doing different genre films. He is coming up with yet another content rich film Thippara Meesam directed by Krishna Vijay of Asura fame. The film’s first look poster unveiled today is intriguing. 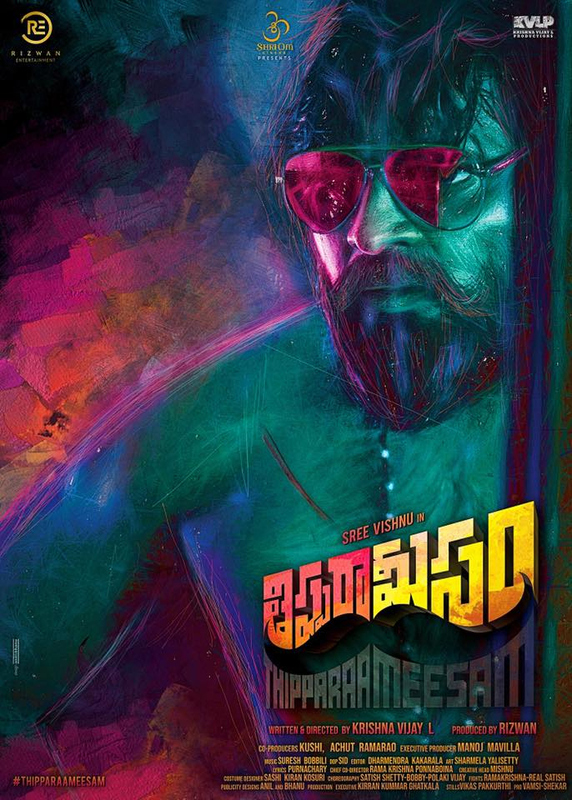 Retro touch is given to Thippara Meesam first look poster where Sree Vishnu can be seen with long grown beard and mustaches. The title logo was also designed in the shape of mustache. Billed to be a mass action entertainer, the film features Nikki Tamboli and Rohini in female lead roles opposite Sree Vishnu. Suresh Bobbili scores music for the film bankrolled under Rizwan Entertainments banner. Thippara Meesam’s entire shoot is completed and presently post-production works are underway. The makers are planning to release the film in summer.